] and Kew's 'World Checklist of Selected Plant Families'. In this view of the species, S. sagittifolia is fully temperate in its range, being found through most of Europe and into west Asia. 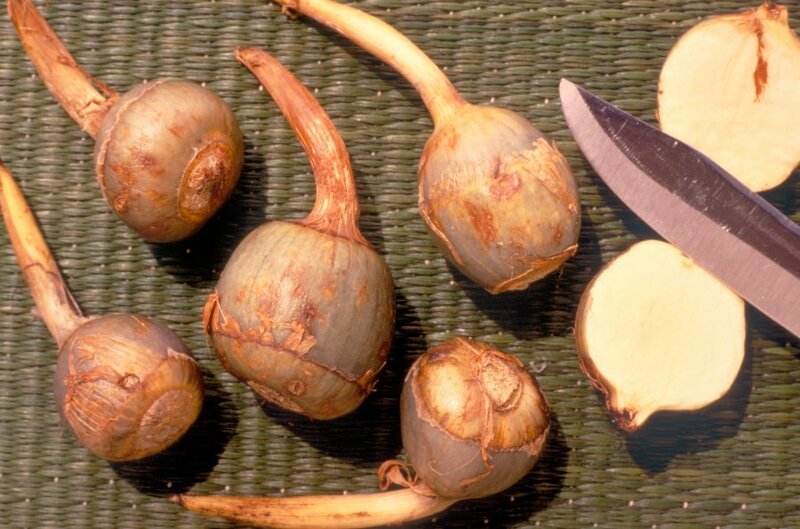 S. Trifolia is the species cultivated for its edible tubers. In Europe it is only found in far eastern Russia, but extends through much of temperate Asia into tropical southeast Asia. Sagittaria sagittifolia edulis (Schltdl.) Siebold ex Miq. Southern European Russia, through temperate Asia to tropical southeastern Asia in Malaysia, Indonesia and the Philippines. Seed - best sown as soon as it is ripe in a pot standing in about 5cm of water. Prick out the seedlings into individual pots when they are large enough to handle, and gradually increase the depth of water as the plants grow until it is about 5cm above the top of the pot. Plant out when large enough. Division of the tubers in spring or autumn. Easy. Runners potted up at any time in the growing season.